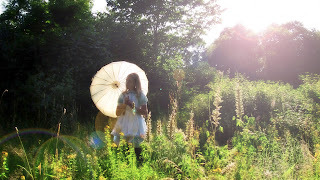 2012 has been a shamefully slow year for me; I mean, just look at the time difference between this blog post and my previous one! Lots of stuff happened this year, and just a few things were good. Dad passed away in April, and lots and lots of paper work followed. He was a resident of the US and I live in Sweden. Without going into the entanglements of his personal life and businesses, it's enough to say that it's taken a long time to get everything cleared out, and it's not done yet. 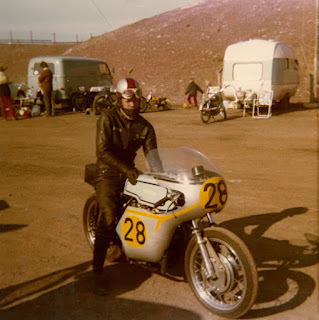 Dad in his prime (early 1970's), on one of his many to-be-crashed racing bikes. Another really bad thing that happened was that I was let go from the job I've had for 11 years. So my economy has suffered quite a bit. That I can live with; I've always found ways of getting by. But what astonished and upset me was how low my social status dropped among people. Persons I considered close friends would have nothing to do with me anymore. Apart from being unemployed I hadn't changed a bit, but they apparently thought I had. So I did what the modern civilized person does to retaliate: Kick them out as Facebook friends! Thank god I have my creativity to lean against. There is no better friend when the winds of life blow cold. 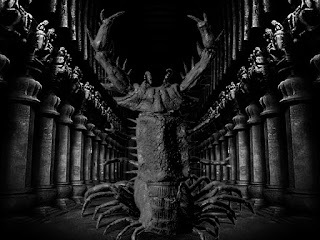 During the spring, I and my friends Daniel Lenneer, and Christopher Johansson finished our H P Lovecraft film adaptation “The Shadow Out of Time”, and posted it on YouTube. The reaction has been (for us) incredibly positive, and the film has now reached 32000 views. Almost immediately I was bombarded with suggestions from the YouTube viewers about what we or I should do next. I had contemplated adapting more stories and it's very likely I would've done so anyway. Now it's certain that I will, and I'm already working on the next one. 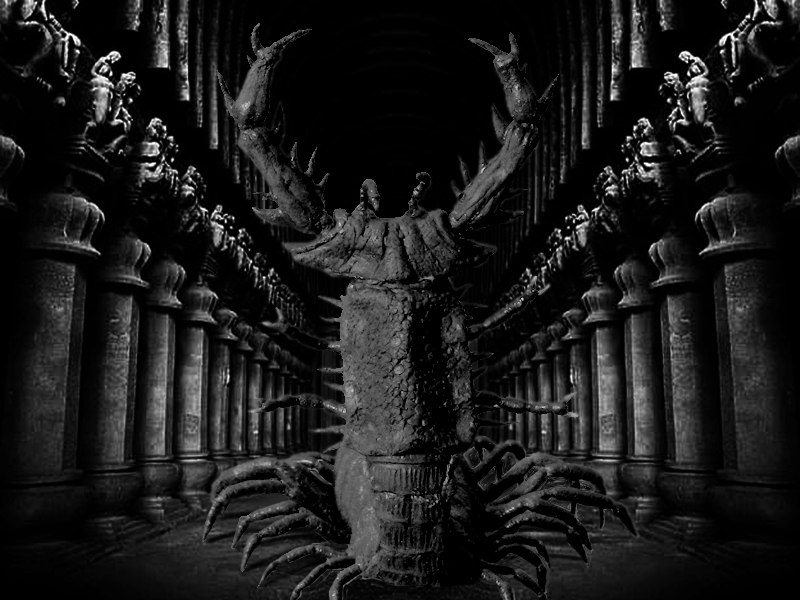 More than anything people have suggested that I take on “At the Mountains of Madness”, which was going to be produced as a feature film by Guillermo Del Toro, but financing fell through, and the world of Lovecraftian fans let out a groan of disappointment. However, having read one of his screenplay drafts I'm not so sure his version would've satisfied the fans anyway. I shall tackle this rather monumental task by approaching it the only way I can; to make a condensed version, but still with lots of (hopefully) interesting visuals and monster action. 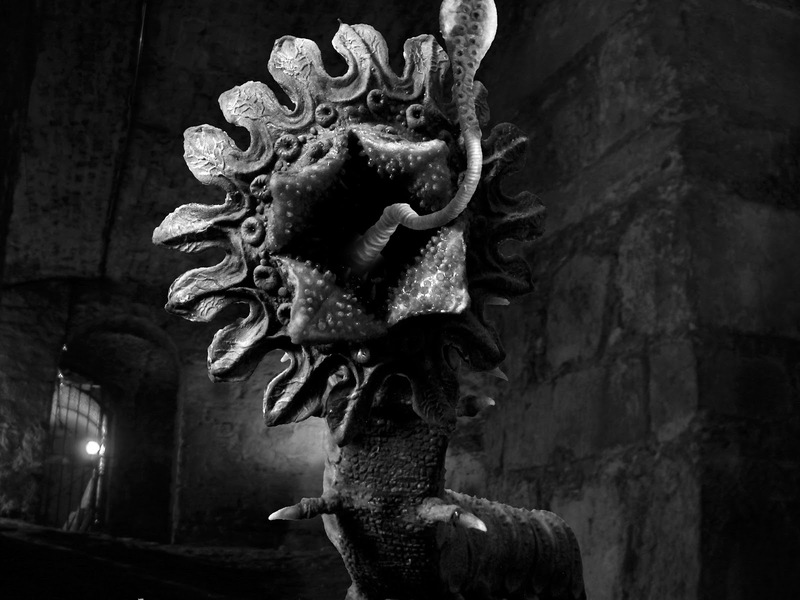 I've already worked on preparing “The Dream-Quest of Unknown Kadath” for a while, and hopefully I can seriously get that one going during 2013. On a slightly similar note, my work on Rolando Gutierrez´ Lovecraftian horror game continues with animations and Photoshop duties. It'll be really interesting seeing the finished version of this old-school interactive game. 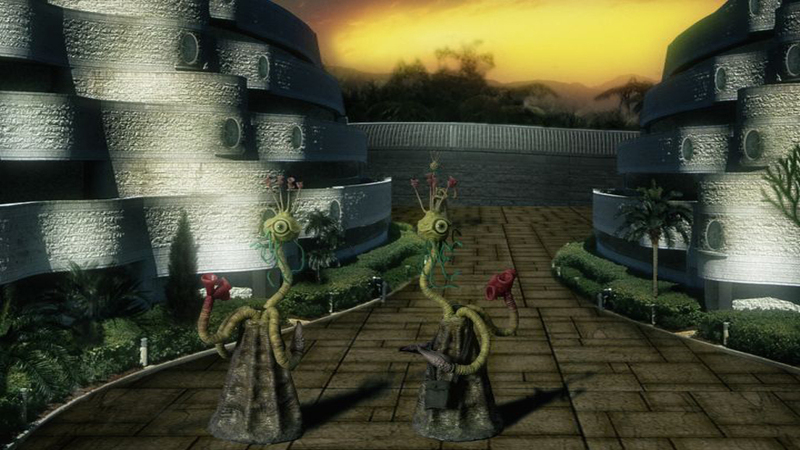 Stills from the animations created for the game. It's astonishing how quickly a year goes by. When we were kids a year lasted forever, and at least I seemed to get tons of stuff done. I will attempt to trick time and get back to that slow passing of things this coming year. In short, I shall try to do more every month. Just a few days ago I got a call from some people who seemed keen on hiring me in February, thereby vastly improving my financial situation. I shall see how that works out, not holding my breath, but it's nevertheless a good note to go out on this year. Here's to 2013! My work for Rolando Gutierrez' computer game is almost over: I built three more puppets and I have some animation left to do. One of the more striking scenes in the game will feature a transforming woman, realized as a stop-motion puppet. 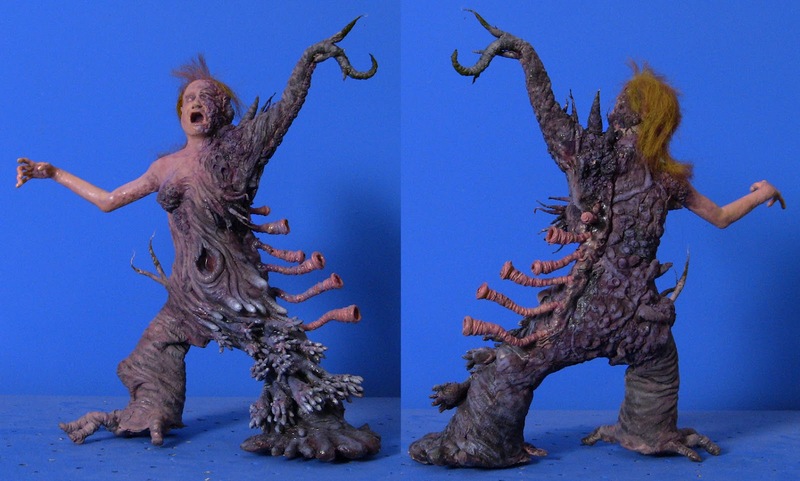 I sculpted a twisted torso based on the likeness of an actress from the game's live-action portions. From the shoulders up I made the plaster mould in two parts. 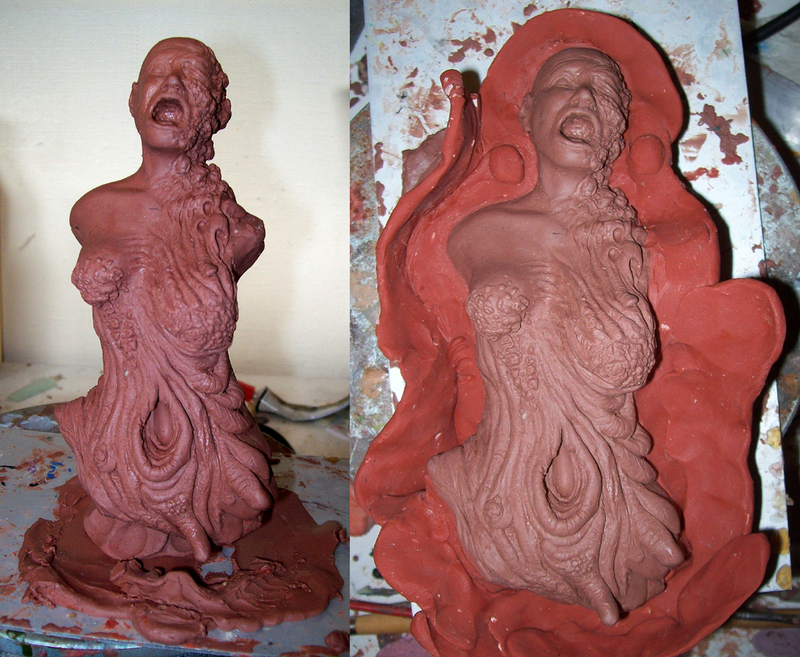 As I usually do I sculpted a flat piece of skin and made a plaster mould over it. 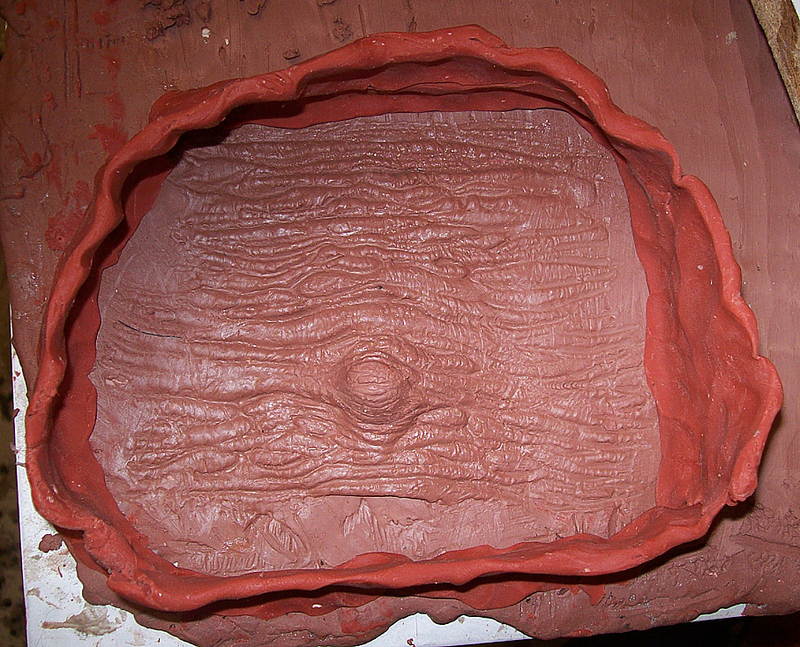 I prefer to have a bunch of plaster mould skin textures on hand to cast small and big pieces at my leisure when I build up my puppets. 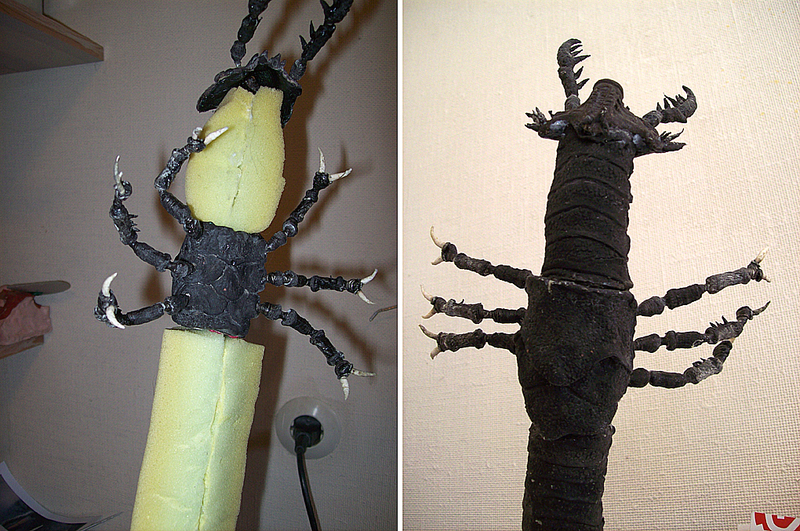 The puppet is a mishmash of cast latex pieces and parts built up with latex and cotton over foam shapes. 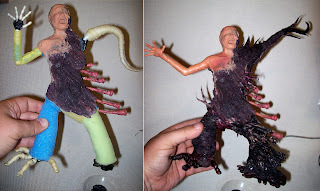 My idea was that this lady would undergo a transformation inspired by the final revealed appearance of Wilbur Whateley from Lovecraft's "The Dunwhich Horror". I'm sure some of you know what I'm talking about. 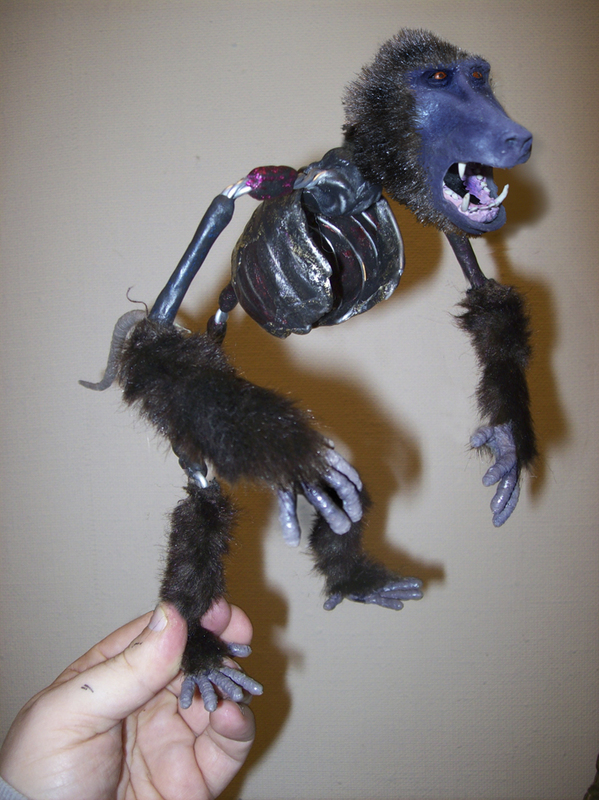 The finished puppet was painted with acrylic airbrush colours and decorated by tufts of crepé hair. A monstrous worm puppet was also required. I had a design mailed to me, but for some reason I strayed a bit from it. 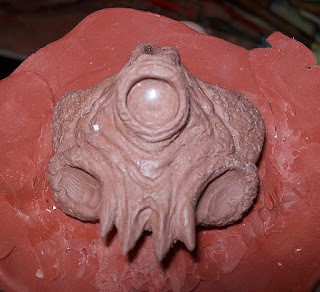 Here's the head sculpture for the cyclopean monster. The legs were aluminum wires with a cotton/latex mix applied over them. 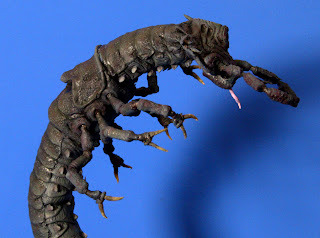 The mid-body section was a cast originally sculpted for another puppet monster; the blunderblat (see my earlier blog posts). 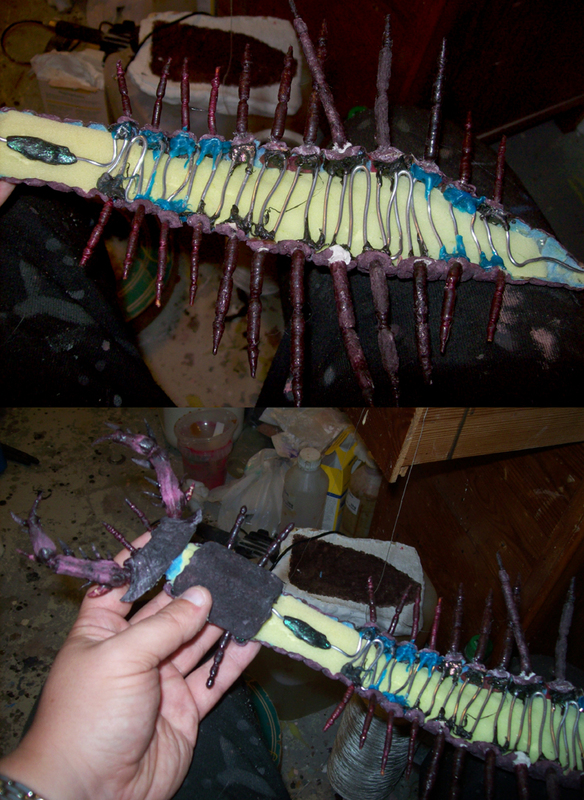 The spine of the puppet was braided aluminum wires, with Friendly Plastic thermoplastic added as support. 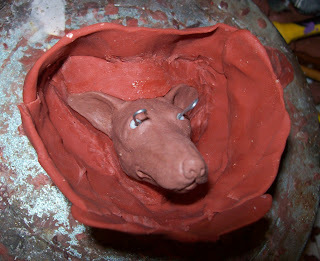 The skin for the rather long body was sculpted flat in clay with various details. All the latex was tinted black using Kryolan tinting powders before being poured into the plaster moulds. This isn't the final colour, but it's a fairly good base colour, and automatically creates deep shading in hard-to-get-to spots. 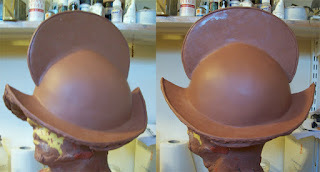 Some simple foam padding was added before covering the puppet's body with the cast latex skin pieces. Liquid latex is the bonding agent. 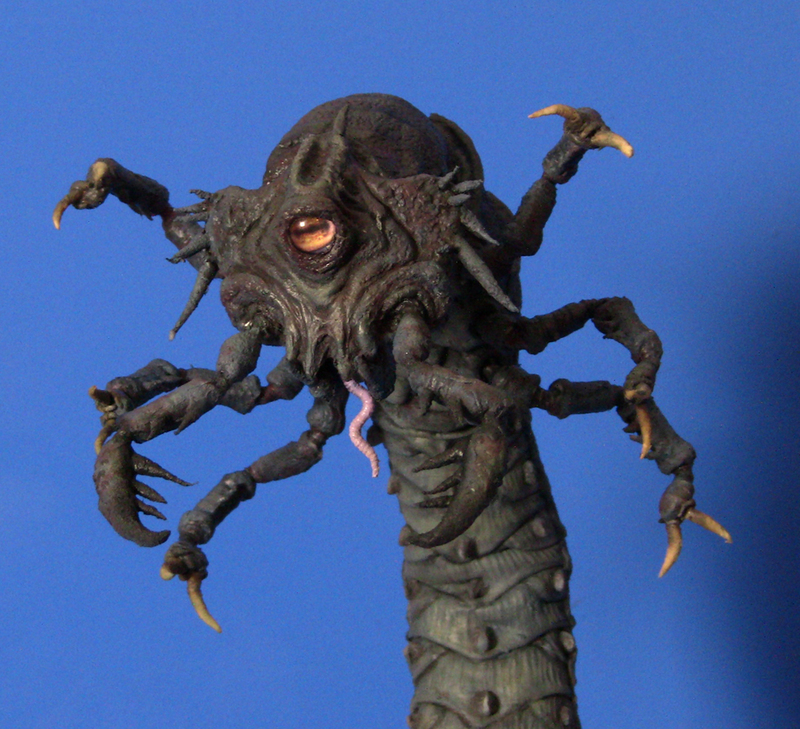 And here's the little bugger with its finished paint job, and a plastic lens eye fitted into its head. Don't ask me why I can't post this image standing up, ask Blogspot! 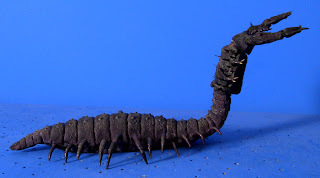 It's a pretty nice monster, if I may say so myself. However, this wasn't really what Rolando had intended for his game, so it was back to the workshop. I started building another version, and this time I stuck exactly to the sketch I was given. 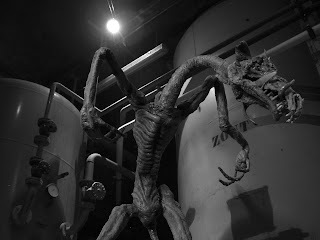 The belly and back parts of the monster's body was sculpted in clay and cast as two separate latex skins. 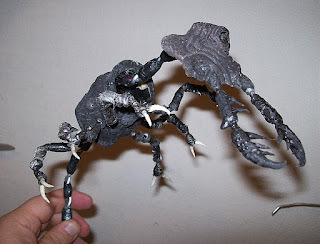 The skins were wrapped around a foam padded aluminum wire armature with lots of legs. 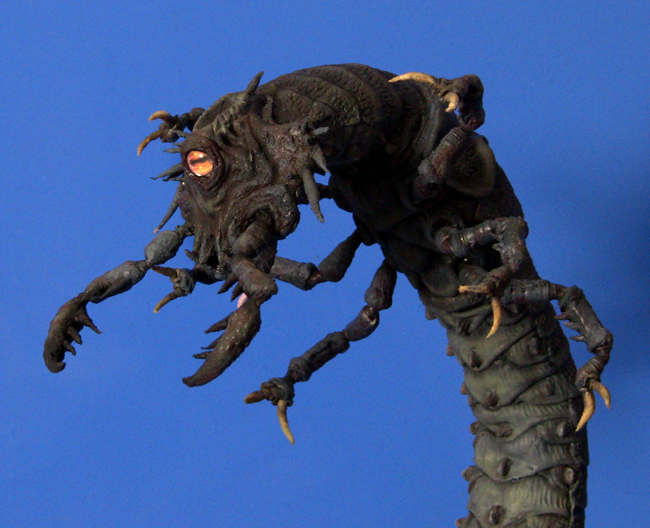 The finished terror attached to my animation stage using a tie-down nut in its belly. The first version of the bugworm will probably be used in another project. The nearest town to where I live, Ronneby, was routed in 1564 by the Swedish king Erik XIV; an event noted in the history books as "The Bloodbath of Ronneby". It's a fitting moniker, since most of the population was actually killed. My home province of Blekinge wasn't Swedish at this point in history, it was Danish, and the Swedes and the Danes were embroiled in a 7-year conflict. The Swedish king hired Finnish and German mercenaries to capture Ronneby, which they did in just one day. Every year some theatre group stage an outdoor show recounting the bloody events, and this year's production wanted to add as much historical detail as possible. 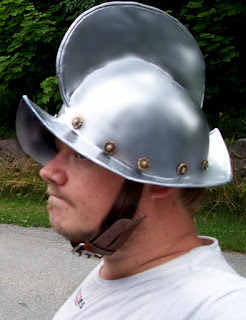 Some years back, a rusty morion helmet was dug up in Ronneby. Obviously someone of the mercenaries had worn it. The play director, Johan Westermark, wanted two morions to be worn in the play, but he didn't want any pristine steel reproductions. I was asked to produce two slightly beat-up morions in plastic, so they'd look right AND wouldn't be heavy to wear. I did one helmet sculpture in Chavant clay, based on the rusty morion found in Ronneby. 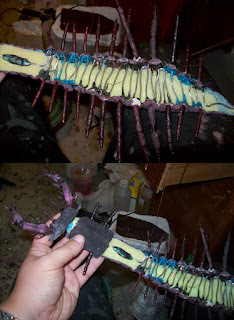 It took about a full day to create a silicone mould for the sculpture, adding layer upon layer of DragonSkin FX Pro silicone. I used a thickening agent for all layers but the first one. 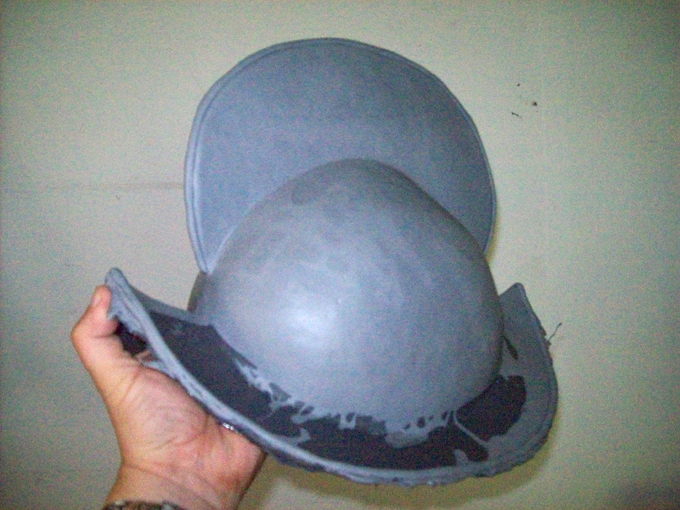 I added a two-part support shell for the silicone mould by using thick plaster bandages. After peeling off the cured silicone mould, I could let it rest in the plaster bandage "cradle" when casting the plastic. 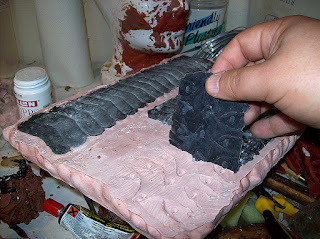 I used a plastic called SmoothCast 65, which is sold by SmoothOn. 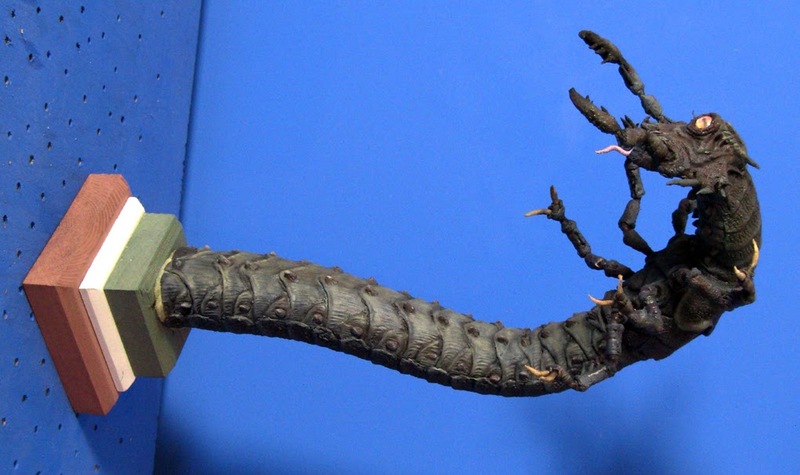 It's quite sturdy and bends rather than breaks. It cures bright white, but I added black pigments to create a greyish metallic look. 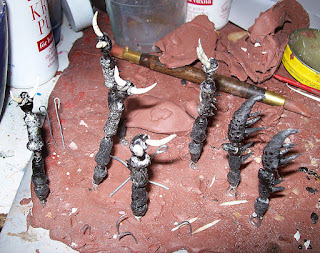 After cleaning up the plaster casts I painted them with a high-gloss chrome spray paint. Over that I covered the helmet with an airbrush varnish, which created a more worn, satin look. The chin straps were just second hand shop-bought belts. The studs were also plastic, and created by casting Friendly Plastic thermoplastic into a silicone mould I made from a coat button. 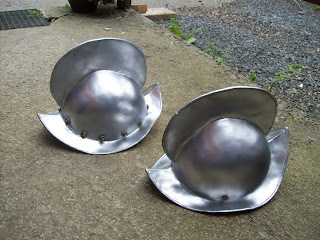 Roundhead fasteners were pressed into the curing plastic studs, and then threaded through the helmet to keep the studs in place. If I had enough money I'd love to try and create my own fantasy armour, but it'll take a lot of clay and a lot of silicone and plastic. Dracula's crimson armour from the prologue of "Bram Stoker's Dracula" was made this way. I've worn real armour and I know how heavy and cumbersome it is. It also takes forever to get in and out of it. The thing is, I have an idea for a video project requiring armour that doesn't look like anything out there, and I'm racking my brain trying to figure out a quick, cheap way of building it. More about that later, I'm sure. US filmmaker Mark Beal asked if I could make a couple of animal puppets for his film project "Enchiridion". 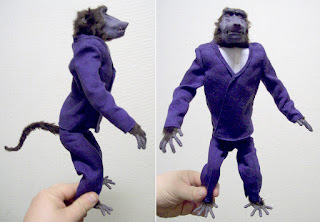 These animals, a baboon and a greyhound dog, were supposed to look like the genuine articles, but in the film they would be dressed as gangster hit men and walking upright. 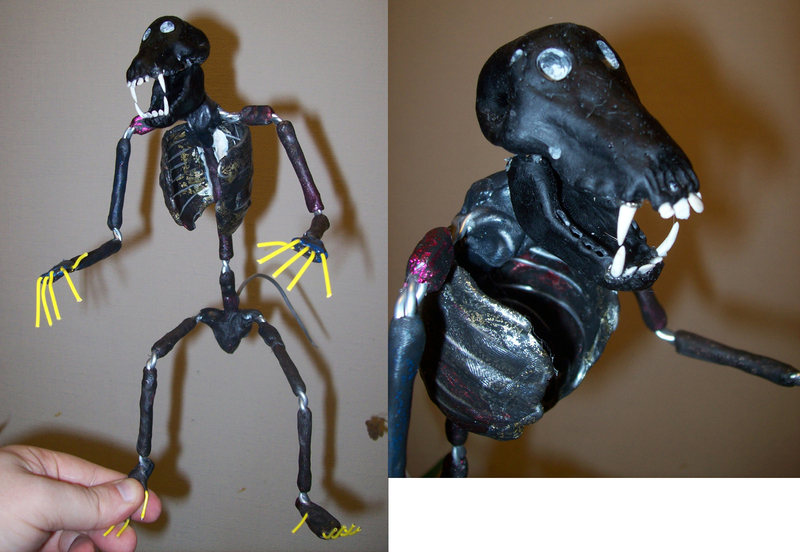 I made these puppets fairly large, about a foot long each. Both the greyhound and the baboon armatures had the same dimensions as their real animal counterparts. 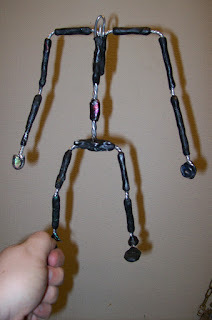 The armatures were made, as most of my armatures, out of Friendly Plastic thermoplastic and braided aluminum wires. The baboon skull was sculpted in Chavant clay and cast in plastic from a silicone mould. 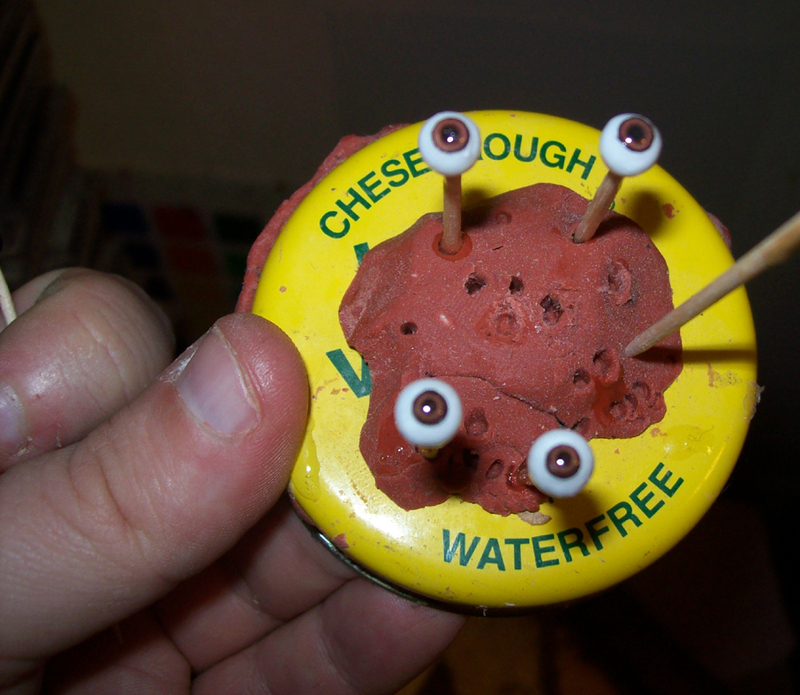 The teeth were Friendly Plastic, and super glued into the gums. Only very little of the animal bodies would actually be visible. The rest would be covered up with fabrics. Besides the fake fur added in these photos I also padded the body with bits of polyurethane foam. 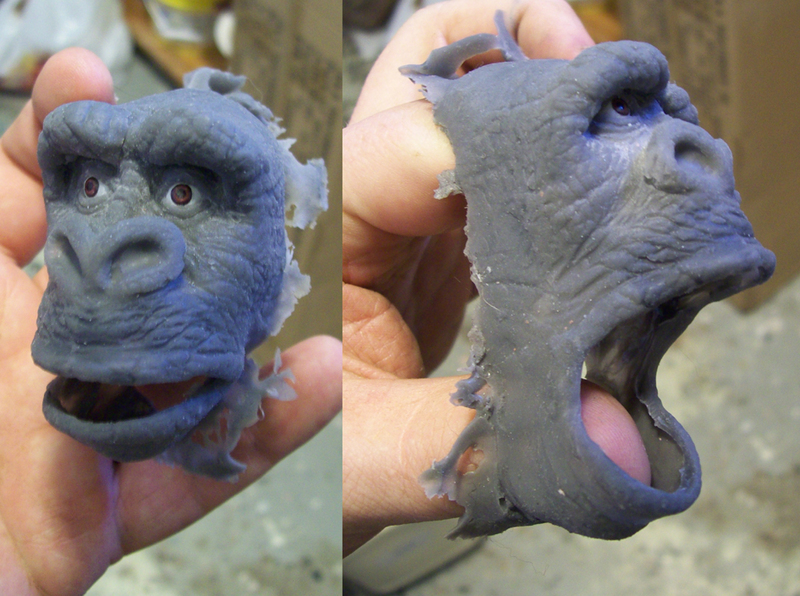 The baboon face sculpture was created in clay, and DragonSkin FX Pro was used to mould a face skin from a plaster mould. I added a bit of wire to the upper lip and the eyebrows, and two plastic beads for the eyes. My friend Liz hastily created the costumes; perhaps a bit too hastily, since Mark wasn't really happy with the result. He found another seamstress in the US who totally remodelled them. The feet, hands and tail of the baboon were built up with sewing string and latex. 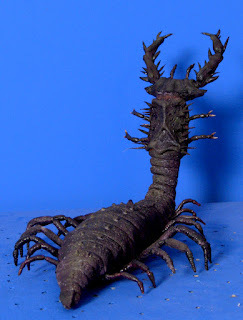 The silicone face was painted with a mix of DragonSkin silicone and pigments. 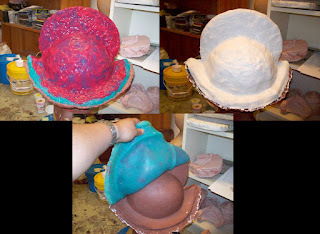 I sponged the colours on using very fine sponges and speeded up the curing with a heat gun. The result is never as subtle as when using an airbrush, but it doesn't look too shabby. 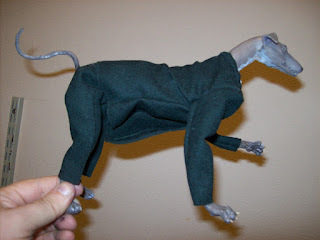 The greyhound was another matter entirely. 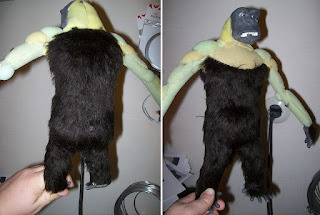 Since these dogs have such a thin and short coat of fur that they need to use sunblock in the summer, there was no question that I had to drop the idea of attaching fur to the puppet. 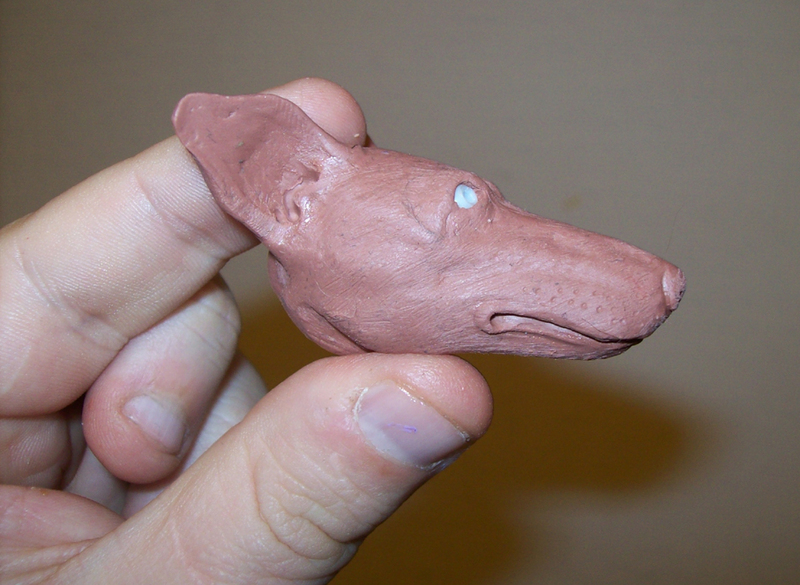 I just tried to simulate the look of fur by sculpting it into the clay used for the head and skin moulds. 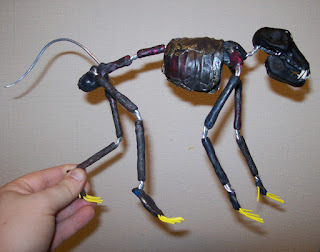 I forgot to mention this about the baboon, but both of the puppets had these wires put into their eyes when the plaster moulds were created. 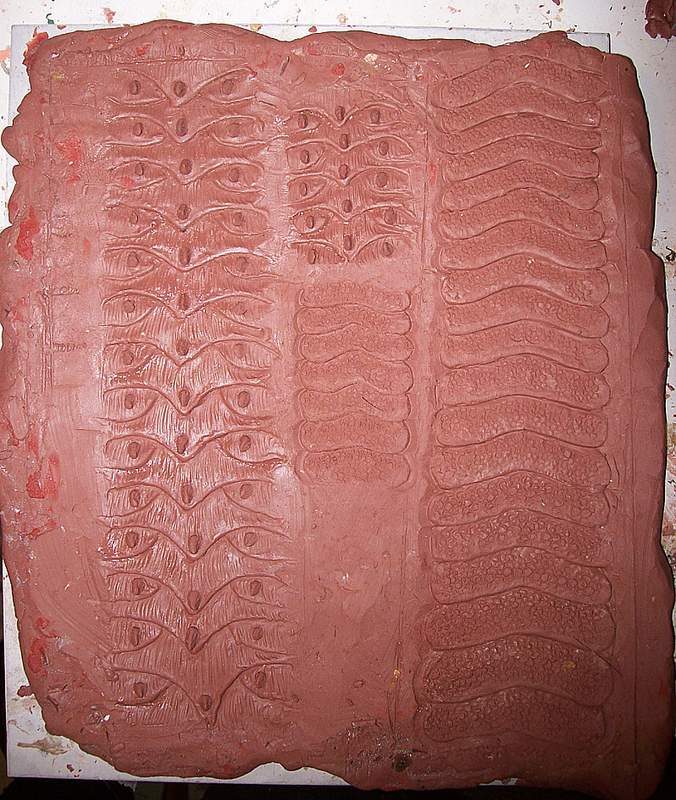 Having these wires embedded into the plaster allowed me to put the plastic beads representing the finished eyes into the mould, over the wire ends while casting the latex and silicone faces, creating sockets for the eyes in the process. 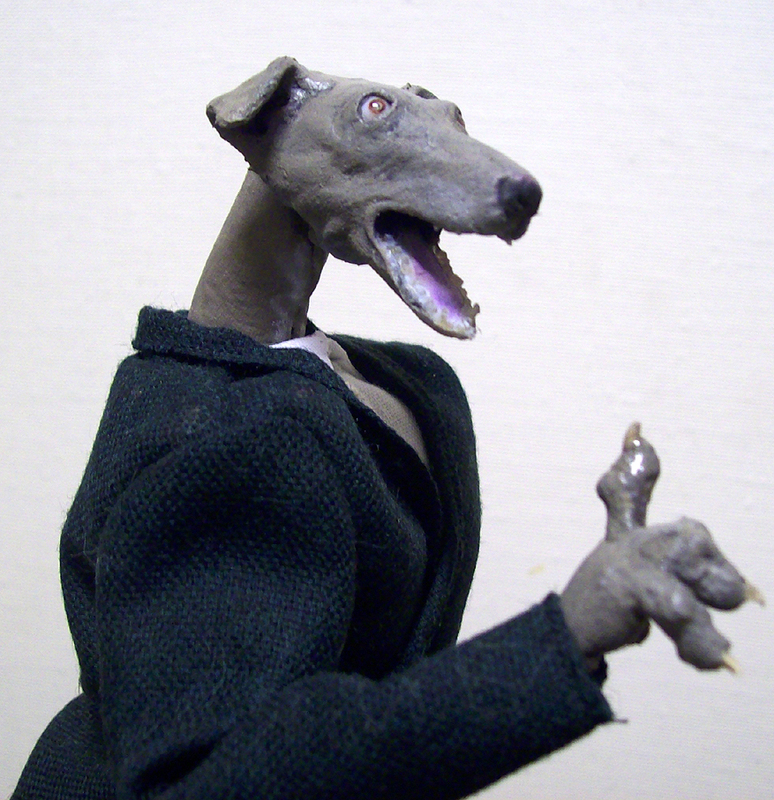 The greyhound had a simple latex head, as it wasn't required to show much emotion. 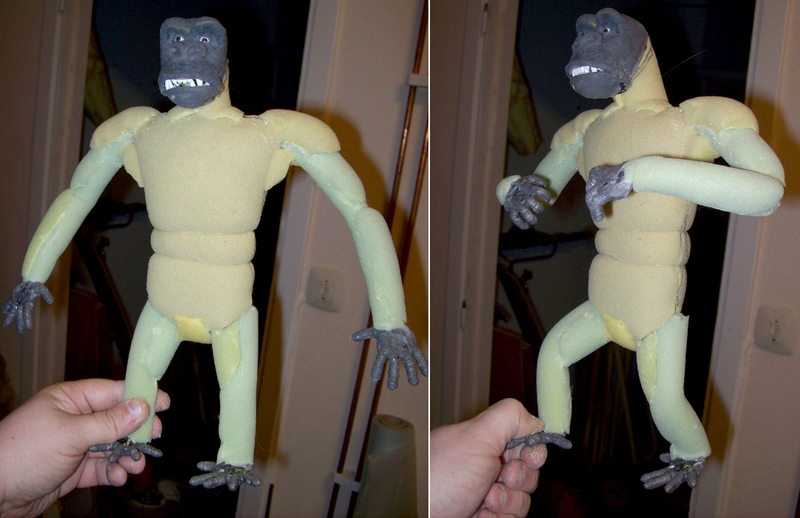 As with the baboon, a very basic foam padding was applied. 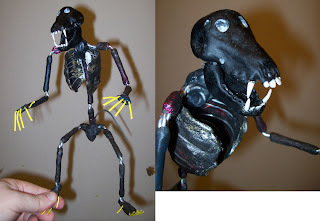 I think I managed to build a couple of puppets that, while they may seem primitive, still fit into the weird universe Mark has created in "Enchiridion". I'm very excited to see the finished result! 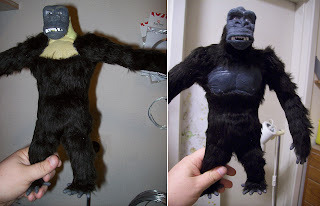 Last year, British animator and King Kong enthusiast Lee Ashworth asked if I could make him a Kong replica puppet, and I set forth on my mission with some trepidation. 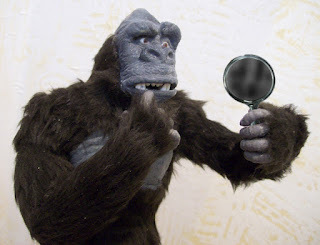 Kong is one of the greatest pop culture icons of all time and I figured nailing down his look wouldn't be an easy task. I was right. It took me over a year to get the damn thing finished, and in the end it doesn't really look like Kong anyway. But we'll get back to that. I did blog about this project last year HERE. After many attempts at sculpting Kong's face, Lee and I finally settled on this look. 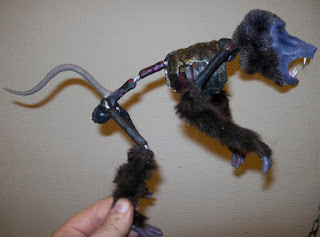 Lee had sent me a ball and socket armature for his Kong puppet, but I deemed it to small to work for the hairy Kong puppet; I couldn't find any fur that was short enough. Instead I made one of my usual aluminum wire armatures, built after the same dimensions (though slightly scaled down) as one of the original Kong armatures. Kong's eyes were plastic beads, which had a filed down smooth flat top surface,with added printouts of Photoshop eye art, and then covered with Crystal Clear plastic from SmoothOn. Though the original Kong face was built up by master craftsman Marcel Delgado using cotton and "dental dam" (some kind of latex material which creates condom-like skins) I knew that I could never get the same felixibility out of one of my own latex constructions. Therefore the face was moulded in DragonSkin FX silicone. 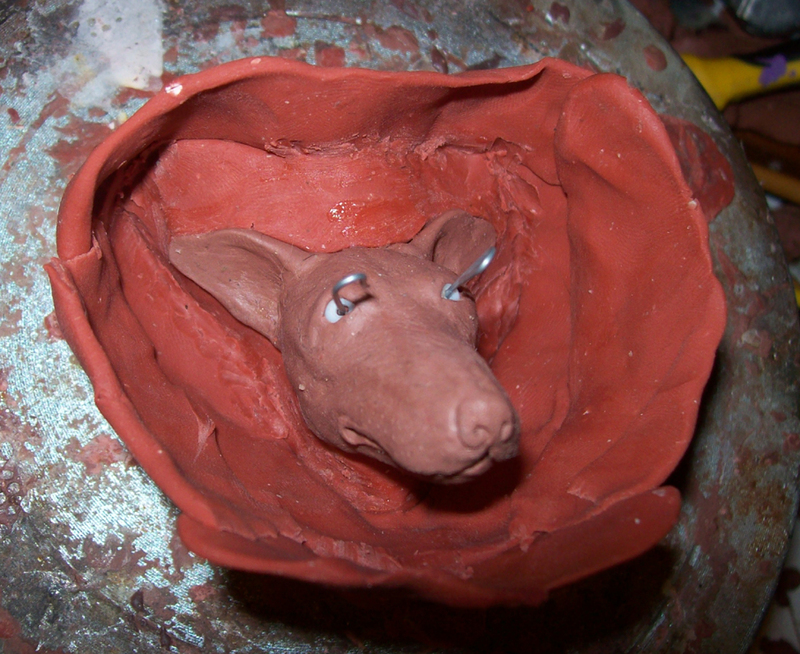 The eyes were inserted into silicone sockets. 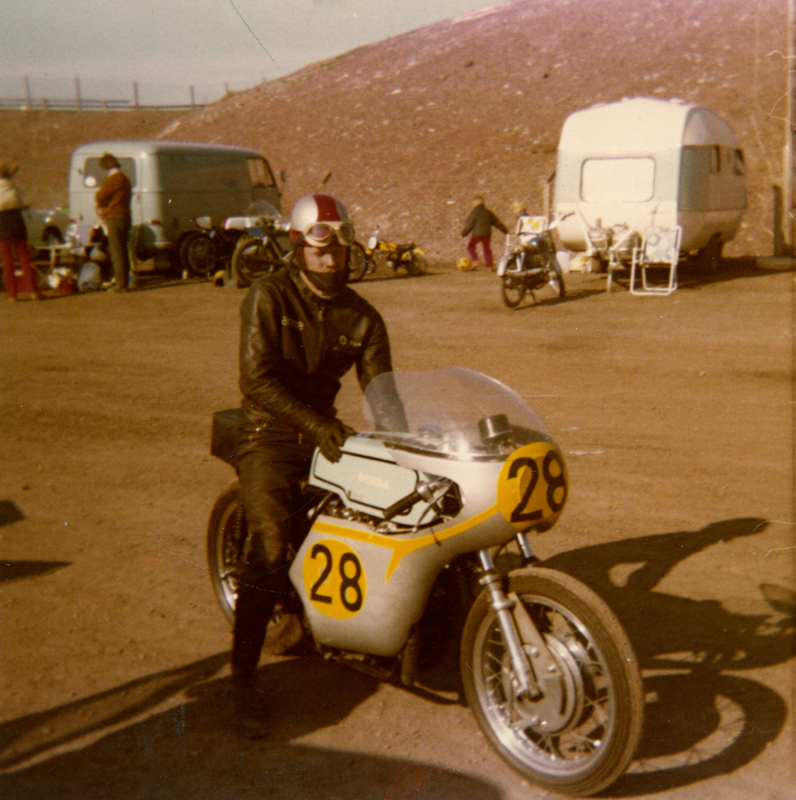 The body was simply padded with foam rubber pieces. 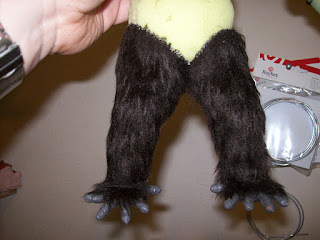 I added only enough of detail to get some bulging shapes under the fur. 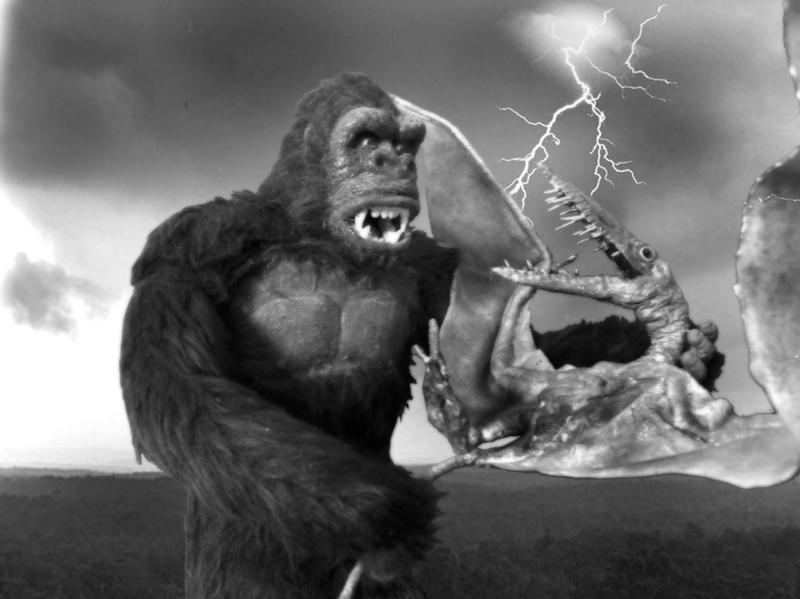 Kong's face had, besides the jointed jaw, aluminum and copper wires inside the brow and the upper lip. 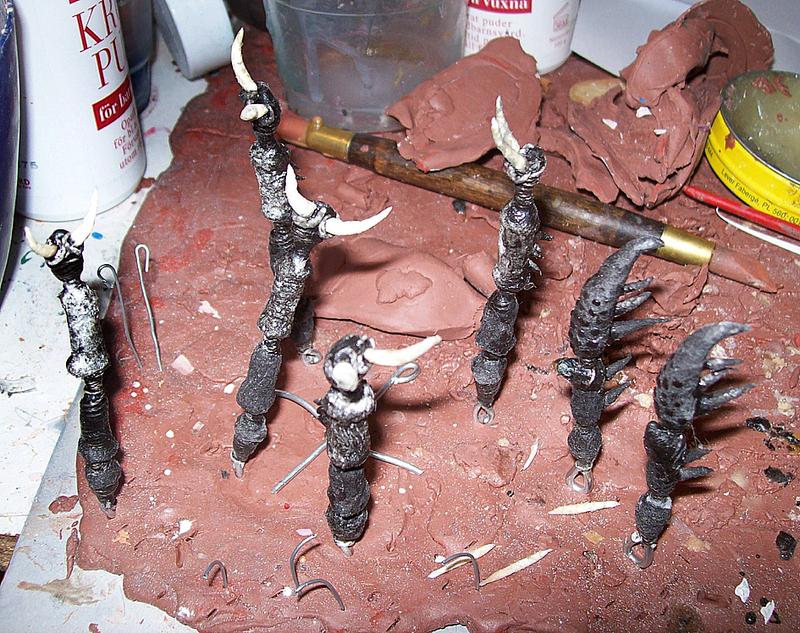 Teeth and gums were sculpted in Chavant clay and cast in moothCast plastic from silicone moulds. The tongue was built up with latex and cotton. Apparently Kong's fur in the original movie wasn't as gorilla-black as the black and white film suggests. It's been said that it was actually brown. I found a soft fake fur of agreeable length, which I decided would work well. It's a very dark brown, and has a slight stretch to it. The build-up procedure was very simple. 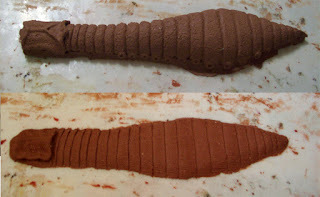 I just cut bits of the fur, like I was making patterns for an overall, and glued them down over the foam padding using a flexible contact cement. 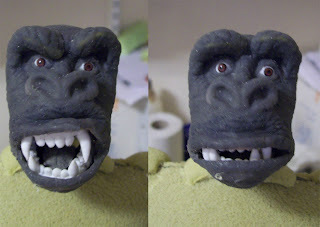 I also sculpted and cast in silicone Kong's ears and a chest piece. Adding fur to Kong's head was another matter. 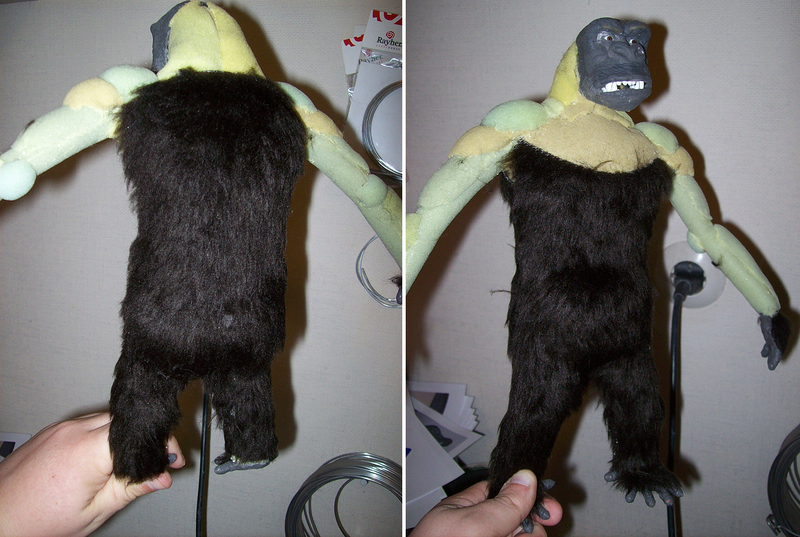 Had I simply glued down bits of the fur like for the rest of the body, he would've had a huge head of hair. Instead I had to clip tufts of hair and glue them down a few hairs at a time, gradually making my way up from the neck to the brow. 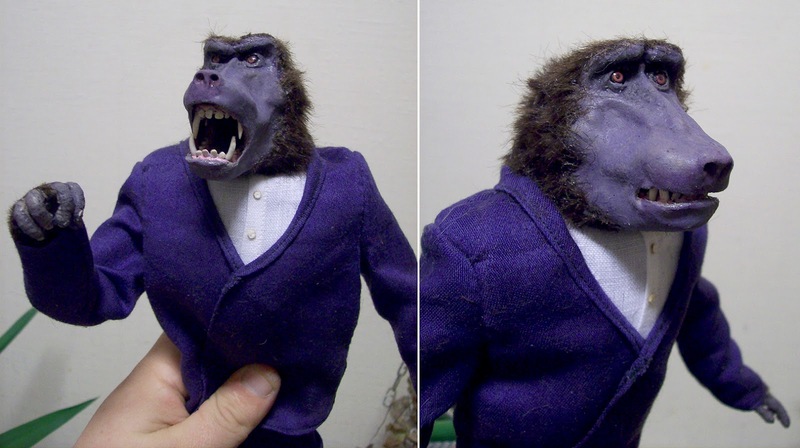 This is a real low-budget Kong. 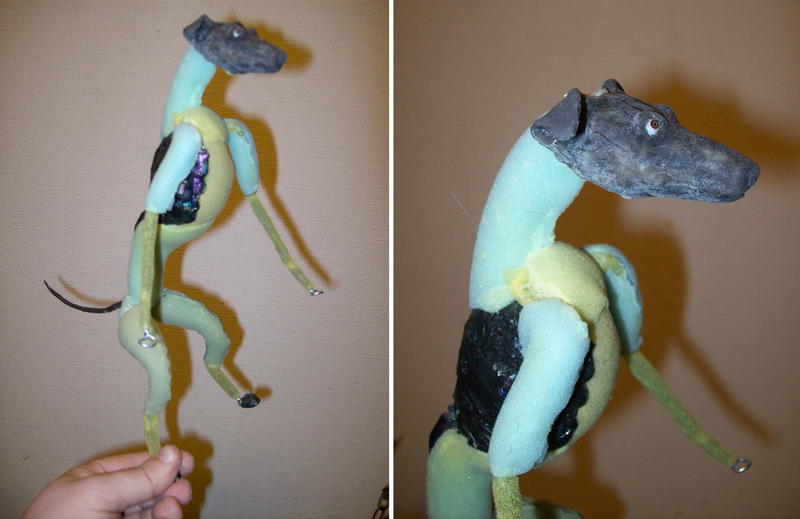 I can point out several faults with this puppet, including a too thick neck, a slightly crooked jaw, a fur that's too long, etc, etc. 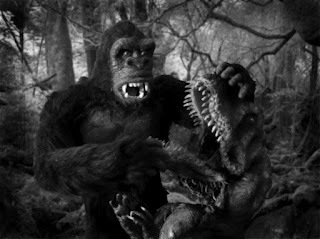 But I think of this as "Kong Mark 1". I plan to give this character a go again and again, until I've nailed him down and found the best fur for this project. 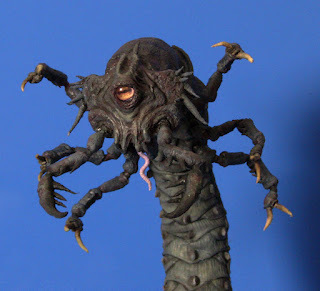 At least Lee got a pretty decent practice puppet out of this one.